How to set up a theme for Joomla extensions when configuring a Joomla-Monster template from scratch? Your browser doesn't support HTML5, Flash, Silverlight and even HTML4! How to solve "Fatal error: Can't use method return value in write context" after quickstart installation? Googlebot can't access CSS and JS files on Joomla site? How do you upload a Joomla Monster Template? Developer Mode in lifestyle template? Module only on mobile version? When, JM Classifieds for Joomla17, please ? Upgrade options for templates ?! JM Fashion store in Joomla 1.7 version? couple question about jm school template ! Joomla 1.5 templates for Joomla 1.6? Best place for the language switcher module? Where is the pic of the bellhop's bell? How to remove the Order sort heading. Modules footer-mod and bottom not visible? Increase font size "Font Size Switcher"
Whose files can i edit? How to Translate "REad More" in the Heade Slides?. Change colour of hyper links. How Can I Change "Ask About This Product"
Main content window not adjusting height. Flashnews exactly like DJ-Catalog2 Frontpage? Error message when logging in the front-end site. Change color of bottom area logo..
howto change the palm bg? How to remove this stuff, come inside! How to change this template layout to RTL? How can I change the settings titles to articles? Error display some custom HTML scripts? search Box: ooops, whats going wrong? How to change text "add classifieds" ? How to Modify "Please login" tip on login screen. How activate social buttons on DJ-Car-Company? HOWTO TURN BACKGROUND IMAGE OFF ON SELECTED PAGES? How to hide/add few fields in advanced search?? By mistake registration form disabled how to fix?? How to instantiate mail function ??? Removing "type" drop-down from "add item"
error link in the phrase " agree with "
DJClassifieds Regions - Ad display as blog layout? Include 'Location' in homepage search bar? How to import regions ? Translate the words "Advanced search"
Make RTL language as default ? can i use this spaces to add custom banner ? How to find phrases "category-table-layout"
Best way to create multilanguage site? revise "Joomla Templates by Joomla-Monster.com"
Whay is on the main page and how to edit this? Topbar Menu to be a drop down? How to edit "word" on Button..? Increase header tabber module width ? How to custom Advert view general details? How to manage the main menu images?! Template Problems after server migrations. How to change color of arrow-down in dj-megamenu? how I can change size? Remove gps coordinates only from post-adverts. random display of items in this area. Can I search for user name ? google maps. how to drag the tag? Quickstart installed but website not seen ??? change of setting - "error notification messages"
I want to know how ? How to edit template for email? replacing "name" in item list by "title"
DJ-MegaMenu "Display SELECT for small screens"
link directly to a dj flyer item ? I can't disable Coming Soon function. Where can I edit the Tabber module ? Как исправить наложение цены на заголовок? how to stop load font-awesome.min.css? why saving template rewrites custom css? how to solve some w3 html validator errors? What should be joomla compression settings? menu icon instead of text? How to modify the "added date"
How to disable Google Maps feature and annoying "Keyless access depreciated"
How to change the font type? frontend editor > define which articles to edit? How i can install template with version 2 data sa? Where do I remove the 80px that is added to the #jm-allpage? How to change font size DJ Classifieds search? Why is font pushed to 160% and how can I change it? How do I change the MYOffers logo in the mobile menu? DJ-MegaMenu module of jm-joomads template. JM-Internet Drop Down Menu sometimes not showing! Replace "Check an offer" with Read more...? What/Where is this module ? How to disable mainbody content on frontpage? How do I edit the Typography section? where can I find this module? How do I disable that message? Articles in blog not only works on the home page. How do we change blocks order in layout builder ? How to reduce width of upper and lower border ? Can anybody help to customize template? Where are all my articles stored? top bar 1 & 2 width? Is it possible to make the main menu sticky? Quick Start issue with table mysql ! 2 rows of the Menu? How to change color of module on right? Welcome message .... where is ?? How to change the "School Name" on the header ?? the code of the title color. what is the name of the font in the logo? how to add this slider? how to change the content in the up left corner? use advertica template in joomla 3.x ?? How can we add link to pictures in slider ? Hello , Menu disappears when I do unregistered ? How to translate or replace "Read more" messages? Help me please "unexpected T_STRING in "
How to remove the Title "Welcome to the Architect"
Normally with the research component and module .. I can not open my fronted. How to change the title of featured articles. How to change the Circle image of top position. how to change the social links. css style 3 Color change not displaying. how to place animated buttons in top-content1? How to setup DJ-Image Slider Module? How to add new hidden module position? Change background from color to image? FF Display OK :) IE 8 NOT :( PLEASE Help! Edit footer/copyrights to become 3 line. Which Style Sheet to change / module class suffix? Animated Buttons in TOP position! Can the search module be overlapped with logo? How to change other colors? Limited slide effect in Free Templates? How to specify image dimensions on the template? Set price for certain users? i can not save the changing og module details!!! How to remove ,,jm-content-top,, from home pages? Module class suffixes for Wedding 04 Joomla 1.7? How to make Dj Cataloque in 2 languages ? How to add language switcher in the template? problem with "install sample data"
Web page only footer and header! no short description in category view ? How to relocate "you may be interested in"
The whole template is wrong!!! Welcome to Furniture Store - as the store name?? how to add new page in menu "lastest product"
Which Shopping Cart Module is Compatible? Change Price to "Request Quote"
How can I change despription next to site title? How to remove backtotop scroller button? what's the font used in demo? How can I edit the testimonials at "Home Page" ? How to arrange the main menu? how do i make the link to facebook ? Reduce blank space between logo and MENU ? Where I can edit it? How to disable the responsive layout? How to change Logo Text font style? Module Headings the same as article headings? JHtml: :bootstrap not supported. File not found. how to get the same category layout as in demo ? Disabling "Must agree terms of service"
Menu items in other languages are not visible. Error 500 after put htaccess file. The username you entered is not available. tema download link help ? How do I remove links? What Module is this article under please? How to remove the shop-module? How to made my site url seo friendly ? How to disable "read more" in DJFlyer component? Sample data does not install. "JM-News Portal 2010 © All Rights Reserved"
"URL is not valid" error with Firefox. Ask about how to purchase real estate template? I have not found the fonts! Houston, we have a problem ...! Can I use template for Joomla 1.5 in Joomla 1.7? Does Joomla offer templates for Italian Restaurant Templates! How can I override the image and text css. Profiles are right justified and don't fill all spaces. How can I change text Color and Size? Which CMS to Use ?? how to login in indico portal? Help with Real Estate Ads Template! Width component area on template. How to add linkedin link/icon ? how to encrypt or protect user emails. how to set an other template(business, culinary,..
K2 Subcategories showing wrong !! How do I move and resize the columns? Eco Cosmetics Template - How to add a side menu? DJ-Herbs, How To Change Fonts? Where do I find the Log in page/formular ?? JM-Flavor-power its a great template for Joomla..
Great design & functionality!!! Thank you!!! Joomla-Monster Made My Job Easier! All the best for all women from Joomla-Monster! Buy Joomla templates & extensions 30% OFF today! Save on Valentine's Day Joomla templates. Joomla templates and extensions weekend sale! Christmas & New Year Joomla templates sale! Ecommerce Joomla templates updated to J2Store 3.2.27. Download updated files. Joomla templates with WCAG 2.0 compliance updated. See what changed and download updated files. Black Friday Joomla templates sale is running. Get the discount code! Testimonials FREE Joomla module is updated! Check what changed! Halloween Joomla templates sale is running. Get the discount code! EF4 Joomla framework updated! Check what's new brings you EF4 4.8 version. Joomla-Monster is one of the sponsors of the JoomlaDay Poland 2017. What's new in Joomla 3.8? An excellent support is always rewarded with "thanks" from customers! Templates for Joomla 3.7 already tested and compatible with the latest version. Christmas deal on all Joomla templates is running. 20% OFF on all! Black Friday and Cyber Monday sale is running! Halloween discount on Joomla templates already launched! New features in Joomla 3.7 - do you find them useful? Check it out! EF4 Framework updated to 4.7.2 version. See what changed. New discounted Joomla templates available. Check them now! Check the new daily discount on Joomla templates! It's Wednesday, come and see new special offer! We are sponsors of JoomlaDay Poland 2016. Special offer is ready for upcoming week! Surprise included! Check discounted templates. The offer includes bestsellers! New templates discounted! Check now and grab the offer! EF4 framework is updated to 4.7 version. See what changed. Waiting for Wednesday special offer? Here it is! Check discounted templates this week! New site - what changed? Euro 2016 Joomla Monster deal! JM Trendy J2Store template updated to v. 3.2.12 great e-commerce solution. Wednesday Special Offer has been updated. Get 3 templates 30% off! New Special Offer is running! Check 3 discounted templates. Get a template 30% off! Check our Special Offer. Want to buy a template 30% off? We have 3 proposals for you for the upcoming week. Check it! Special Offer is updated! Check which templates you can get with 30% discount. We have just launched new Special Offer. Take a look! Joomla 3.5 is coming soon. What can you expect? Another 3 templates available in our hot Wednesday Special Offer! Valentine's Day deal is ready, my Darling :) Buy Joomla templates with high discount! New Special Offer has just started! Valid till 9th February. Check our new Wednesday Special Offer, get a template 30% off! Recently released Joomla 3.4.6 and 3.4.7 updates are the important security releases! Update your site without any template damage risk! Wednesday Special Offer: Get 3 templates with 30% off discount. Check the list of best Xmas & New Year deals coupons for Joomla templates & Joomla extensions! All-Inclusive Xmas and New Year sale!!! Buy Joomla template or all templates pack 30% OFF. Joomla 3 VirtueMart templates updated to 3.0.12 ver. Download updated template now! Ready steady go! Black Friday & Cyber Monday promotion is running! Get ALL 33% OFF! New Wednesday Special Offer has just been launched! 3 random templates in Special Offer! Take what you want 30% OFF - it's Halloween week with Joomla-Monster! It is Wednesday and new Special Offer has just arrived! Joomla! 3 templates already updated to the latest VirtueMart 3.0.10 version. All Joomla! 3 classifieds templates are updated to the latest DJ-Classifieds 3.4 version! EF4 Framework 4.6 version update released! Take a look at improvements. Joomla-Monster is the main sponsor of the Joomla Day Poland 2015! Grab high discounts - limited offer! New Wednesday Special Offer is running till 4th August. Today you may save money on single template license or on all templates pack! Grab weekend promotion, 24-26th July only! JM Hot News - news and magazine portal now compatible with EF4 framework. JM Beauty Center is now compatibile with EF4 framework! Save 30% on each template or all templates pack! Today and tomorrow only! EF4 Framework has just been updated to 4.5 version - see important improvements. Joomla! templates based on EF4 framework ver. 4.5 just updated. JM News Portal is ready for EF4 Framework! Choose your discount! Enjoy the promotion! JM Car Dealer is compatibile with EF4 now! EF3 Framework just updated to 3.12 version! We've just released Joomla 3 templates compatibile with VirtueMart 3. Discover our Wednesday Special Offer! Let's get deal today! Check today's discount. JM Financial Services - get more than a template. Joomla templates from Joomla-Monster - 2014 summary. Xmas discount on ALL! Buy our templates with 30% coupon code. Special Wednesday Offer till 16th December available! New Special Offer till 9th December is here! JM Services - free template with EF4 stable just updated! EF4 just updated! Check improvements! Black Friday & Cyber Monday 50% discount on ALL! Reduce the template price by $10! 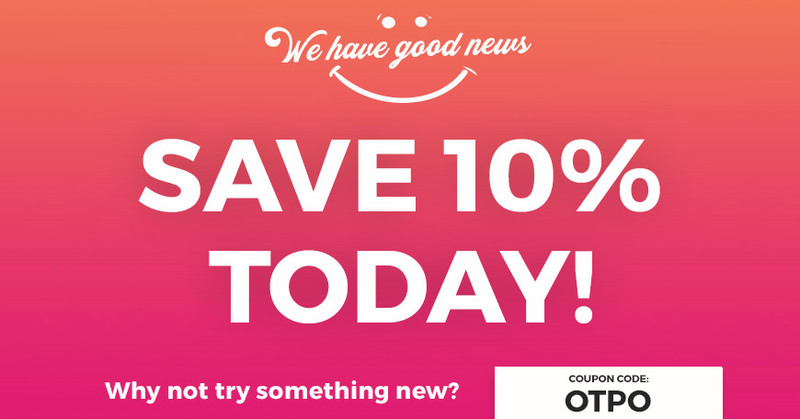 Check the new daily discount! Scary Halloween 50% discount on single templates and all templates pack is available now! EF4 - watch the introduction video! Premium Joomla templates from our collection are 30% cheaper! Till 14th October only. Update Joomla to 3.3.6 immediately! New Wednesday special offer is now available. Till 7th October only. Quickstart package of JM Services template is updated. Want to get FREE ticket on Joomla Day NYC 2014? Do not miss the new Special offer! Till 30th September! Joomla! 3.3.4 - security release. Joomla-Monster on Joomla Day Poland 2014. New special offer till 23th september. Joomla-Monster is a sponsor of Zlombol - charity car rally to help children from orphanages. The daily discount has been changed. Check the new one! JM Business Marketing rated as best Free Joomla business template. New Special offer till 9th September - do not miss the 30% discount. The Joomla 3 beginner's guide second edition already released! Buy 3 excellent templates 30% OFF till 2nd September! JM Modern HikaShop - updated to ver. 2.3.2 . New special offer available! 30% discount till 26th August! Do not pay for each separate template, grab them all! Check this week's specials! Till 19th August. JM Real Estate Ads - the best in July! Do not miss the new special offer! Till 12th August! Another Joomla templates 30% OFF till 5th August! JM Real Estate Ads - new template for selling or renting property! New Special offer available! Till 29rd July. Our Real Estate template ranked as one of the best! Do not miss the new offer! Till 23rd July. 12% OFF on all templates & collections! Check new hot templates in the special offer. 15% OFF on all templates and collections! All Joomla! 3 templates has been updated. Jaw-dropping classifieds extension features - watch the video presentation. Buy 3 excellent templates 30% OFF till 18th June! Special offers till 4th June! JM Birthday photo contest resolved! JM Birthday contest is ending today! New hot template excellent for startup company! Special offers till 6th May! Happy Easter promotion! Buy our Joomla templates with 20% discount! We’re ending support for IE8. Now you can buy those three Joomla 3.x responsive templates 30% OFF! Joomla 2.5 templates with DJ-Classifieds ver. 3.2.1 updated. Three templates for 30% off till April 2nd! Joomla 3.x templates with DJ-Classifieds ver. 3.2.1 updated. The first ever JoomlaDay Atlanta - we have your ticket! Imagine you are the owner of the best Joomla classifieds portal. JM-Joomads, HOT release! DJ-Classifieds has been updated to 3.2 version. Wednesday offer 12–19 March: 3 templates 30% OFF! Joomla! 3.2.3 released - security update. Joomla! 2.5.19 released - security update. New Wednesday = new promotion= three templates 30% off! Leave your opinion about our template. Three Joomla templates 30% off this week! JoomlaDay Boston 2014 – we can make you be there! Catch the discount before it's gone! Check 3 Joomla templates available 30% OFF this week. JM-Joomclassifieds - template & demo site update. JM-Hot-News - our latest news and magazine template! Hot release - new Joomla online store! JM-Building-Services already available for Joomla 3. JM-Joomclassifieds - Joomla classifieds template awarded! JM-Fashion-Trends already available for Joomla 3.x! Best Joomla classifieds portal ever! Joomla-Monster in top 25 WordPress, Drupal, and Joomla Pages on Google Plus at UpCity Daily Tips blog choice. Monstrous Halloween discount on all templates and collections! DJ-Car-Company converted to Joomla 3. Would you like to win a book - Joomla! 3 Beginner’s Guide? Responsive Online Store - the latest release. Templates for Joomla 3.x updated. DJ-MediaTools on Joomla Beat Podcast. All responsive templates for Joomla 2.5 updated. Updates for templates that support DJ-Catalog2 - part 3. Updates for templates that support DJ-Catalog2 - part 2. Ticket winners on JoomlaDay Boston! Win tickets on JoomlaDay Boston! Video guide of DJ-Real-Estate02 - Joomla classifieds portal. JM-Fashion-Trends - examples of header. JM-Business-Marketing - free template is responsive now! Video guide of DJ-Car-Company - car classifieds portal. Video guide of JM-Italian-Restaurant template. Important updates available for several templates. Video guide of JM-News-Portal template. VirtueMart released updated to 2.0.12b stable version. Video guide of JM-Building-Services demo site. Our team presentation on Joomla! Day Poland. JM-Building-Services - new responsive template released! JM-Renewable-Energy - new responsive template released. There's no easier way to display all our templates on your site and start earning money! Get 75% discount on any chosen template! Yummy JM-Cafeteria Joomla 2.5 template released! JM-Teaching-Aids template - our new release! Updates for VirtueMart stores are ready to download. New online stores have been recently released. Our new site has just launched! 3 packages with VirtueMart have been released recently! Video guides of JM-Bio & JM-Architecture templates. VirtueMart 2.0 stable version ready to use! Vote for us on facebook! Video guide of JM-Fashion-Catalog ready to watch! New appearance of DJ-Promedical for Joomla 1.7 already released! Watch video guide of JM-School template. New templates that includes DJ-Catalog2 component released! JM-School for Joomla 1.7 released! DJ-Education with DJ-Catalog2 for Joomla 1.7 released already! JM-Intranet-Corporation for Joomla 1.7 already released! JM-Business02 & JM-Wedding04 updated to the latest Joomla 1.7 version. DJ-Insurance template updated to the Joomla 1.7 version! JM-Business01 demo site updated to Joomla 1.7 version. JM-Advertica updated to the latest joomla version. All VirtueMart stores at the lower price! JM-Trekking on youtube, watch the short movie of the joomla 1.7 template! More than 1000 joomla users became our facebook fans! JM-Trekking template for Joomla 1.7 released! Take a look at the main features of DJ-Modern-Company01 Joomla 1.7 template. Need the special feature for Joomla to make it more efficient? DJ-ModernCompany01 template for Joomla 1.7 released! Interested in learning main features of DJ-Business006 template for joomla 1.6? DJ-Business006 template for joomla 1.6 & 1.7 released! Take a look at our new selector of template demo websites! JM-Language-School template for Joomla 1.6 released! Learn the most important features of DJ-Sport01 template for Joomla 1.6! Check the new release of DJ-Sport01 for Joomla 1.6 ! Upgrage Joomla 1.6 to the latest version! DJ-Travel for joomla 1.6 already released! Watch the new video of free joomla template! Vote on our joomla templates! Watch the new joomla template video! JM-Wedding05 template for Joomla 1.6 just released! VirtueMart themes updated to the latest version! JM-Garden-Art new joomla template released! The video of JM-Fashion-Store released! DJ-Wedding01 for Joomla 1.6 released! DJ-Watches template for Joomla 1.6 released! DJ-Furniture and JM-Medicine converted for joomla 1.6 ! JM-Fashion-Catalog - new template released! JM-Internet-Marketing for Joomla 1.6 released! DJ-Insurance for Joomla 1.6 released! JM-Home-Deco for Joomla 1.6 released! New Video of JM-Royal-Beauty-Salon joomla template! New DJ-Menu module is released! DJ-MultiTreeMenu new joomla menu module! "RTL" templates are comming up! Template for joomla 1.6 is comming! New version of Joomla is released. The prices are falling down! Create classifieds website with MyOffers classifieds Joomla template. Joomla templates Deutsch language support included. Best school website templates for creating a super friendly school website with Joomla CMS. Best eCommerce website templates and eCommerce software based on Joomla CMS. Top 10 Best selling Joomla templates in the first half of the year 2017. JM Modern Hikashop has been updated to the latest 2.6.3 version. 5 issues that may appear while updating to Joomla 3.6.1 or later. Solution for: 1062 Duplicate sql entry error while updating to Joomla 3.6. JM Sport - check what's interesting. Check what's interesting about JM Job Listings - Joomla classifieds template. JM Cleaning Company - watch the video presentation about most important features. JM Apartments - take a look at video presentation of the handy solution to present your hotel offer. JM Apartments – what should you know about the features. JM Computers and Electronics VirtueMart Store - check functionality you may find interesting! What you get with JM Financial Services template? Check most important features! How to check responsive template on mobile device? EF3 - problem after updating Joomla to 3.1.4 solved. How to create horizontal or vertical menu in JM-Lifestyle template? How to create a great logo? Should I upgrade Joomla 2.5 to Joomla 3? SiteGround Joomla Hosting recommended for Joomla! Having problem with Joomla 1.7 to Joomla 2.5 update?